Volunteers to serve as hosts for each of the primary singers for each opera during their stay (approx. 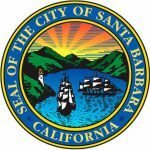 3 weeks) in Santa Barbara, providing a touch base for them while they are in town to answer any questions or providing transportation or other assistance as needed. One or two volunteers to coordinate the purchase and delivery of refreshments during the rehearsal of each opera, and also to setup and breakdown the Green Room at each performance. This requires purchasing all required items (water, soda, simple snacks) and delivering to the rehearsal space or Green Room as needed. Ever wondered what happens backstage? Opera Santa Barbara needs volunteers to help with the Costume and Make-up for each of our productions. This requires attendance at the Dress Rehearsal and ALL performances. Opera Santa Barbara produces several big fundraising events each year. We depend on the support of Volunteers to assist with ALL aspects of planning and producing these events. This includes securing auction items, food and beverage donations, decorations and invitations. For most events, volunteers will sit on the Event Planning Committee, attending monthly meetings. For each of our productions, Opera Santa Barbara hosts a number of parties and special activities during each of our productions. We need volunteers to help with acquisition of food/beverage, set-up, and clean up for each of these parties. Assist as needed with special mailings at the Opera Office. Dates for mailings are: Year-end Appeal in late November, Mid-year appeal in April, plus postcard mailings, poster hanging and other general support.